While Beats by Dre are good bass headphones, if you keep reading, you will find out many that are much better. Looking for best bass earbuds? Click here. … comparing them to our selection of bass headphones, would be the same as comparing apples to oranges. How can we say that, you ask? Well, we can’t make you believe with words, but we bet once you try our top pick for best bass headphones, you will know. Below are 15 headphones that excel in bass and most of them are better than any Beats headphones. What to Look for in Over-Ear Bass Headphones? 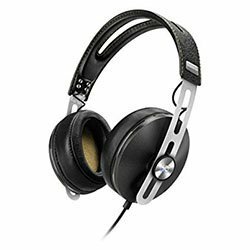 Vote for Your Favorite Over-ear Bass Headphones! The bigger the driver size, better the sound quality. This is one of the rules that is usually true for headphones. And when it comes to playing bass it is no different. The best bass headphones have at least 50mm drivers or bigger. To really hear every bass tone in your music, you need big drivers to provide the physical structure for best sound production. Small drivers just don’t cut it. One big benefit of over-ear and on-ear headphones is comfort. If they are big, heavy and bulky, doesn’t mean they have to be uncomfortable. In fact, since they are already so big, manufacturers make them extra soft and comfortable to wear. If you plan on wearing these on long trips, at home or even for sports, you want them to fit tightly while never irritating your ears, even after long hours. Most over-ear and on-ear models are much more comfortable than the alternatives, but at the same time, make sure the model you want is not badly “comfort-designed”. Since you don’t buy headphones like that every week you need them to last. A good pair of headphones can cost a small fortune. You don’t want to spend it on something that is likely to break in a few months. Do you plan to carry your headphones with you? Then you must pick a well-made product designed with durability in mind. Not all expensive headphones are also durable. Quality materials, especially strong fabrics touching around your ears will make your headphones last longer. Disclaimer: These headphones require a powerful amplifier and right EQ settings to get bass out of them. These Japanese headphones are our first choice when it comes to bass. JVC HA SZ2000 play bass better than 99% of other headphones. If you think yourself a “basshead” and haven’t yet tried these, you aren’t a real “basshead”. The flagship product of JVC which has put in all the technology known to them has made these, compete with the best. When it comes to playing complex sounds where single drivers would struggle, these headphones never seem to have a problem or to be trying too hard. THE bass! You will experience a new level of bass, unless you’re already used to high-grade audiophile headphones. You can be sure these will surpass or at least match the best you’ve heard in this price range. With regular iPod or tablet output you can listen to them loudly, but really come alive when connected to a good amplifier. Equalizer is almost a must-have if you are more demanding and have a specific taste of how your music should be played. Without an amplifier these headphones won’t produce the level of bass they’re capable off. Keep that in mind. Other ranges are overpowered by the monster lows so they don’t come alive, but this is what basshead headphones are all about anyways. In the end, being called “bass cannons” would be the most suitable name for these cans. Big plush ear pads will fit even the biggest heads. The weight needs some getting used to, but since these are serious headphones this is to be expected. 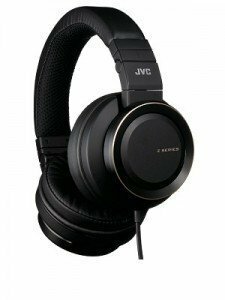 JVC HA SZ2000 headphones are meant to be enjoyed in the comfort of your home sitting or lying down, the heavier design doesn’t bother that much in this situation. Of course you can still take them with you outside. Sound isolation is about average, it’s not horrible, but not great either. The good thing is you can replace original ear pads with better isolating ones. In the end, big high-end headphones, which these are, are usually very comfortable and these JVCs are no different. Featuring double drivers; 50mm drivers for deeper tones and 33mm drivers for higher tones. The 50mm driver is basically a sub-woofer which makes deeper tones extra low for a headphone. The double driver design is a bit special and unusual for headphones, but doesn’t seem to have any disadvantages, quite the opposite. The design is bulky and strong, and seems these headphones can survive quite a lot of punishment. This is why they are quite heavy, but this isn’t necessarily bad. You do have to understand that the casing hides 2 big drivers inside which makes them big. The only thing that is lacking is a slightly longer cord. Make sure to have an extension if you plan on using these at home. The price is quite good, for all the technology you get, other brands would usually charge you more money. This makes this model very good value for money. 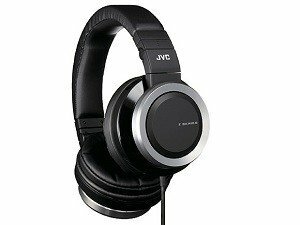 If you’re looking for a pair of high-grade, comfortable, well made headphones that play bass like a pro JVC HA SZ2000 headphones should be your first pick. Here is another masterpiece by Yamaha. This well-known Japanese music instrument maker has created high-end, audiophile, over-ear headphones. The sound in these is full of detail, while bold and loud at the same time. 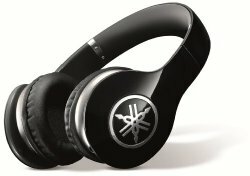 They are very easy to drive and you can get high volume out of them with laptops and phones. The bass is prominent, but balanced. You can hear the deep lows like they were intended, plus get clear mids and trebles as well. If you’re looking for overpowering deep bass, these are not for you. With Yamaha PRO 500 you get rich balanced bass, the way bass was originally intended to be heard. If you want bass above everything else, get JVC HA SZ2000 above. 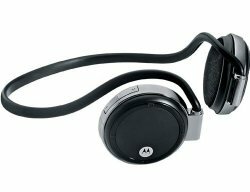 These are heavier than alternatives and might be a bit uncomfortable if you’re not used to wearing heavier headphones. Their size also fits bigger heads so if you have a really small head you might have a problem fitting them comfortably without jiggling. At the same time, this is good news for people with bigger heads. You won’t have any problem wearing these at all. The noise isolation these offer is only passive, and really depends on the environment. In really silent rooms others will be able to hear your music, but outside on the street you will hear the outside sounds just enough to avoid any accidents. Durability wise, these are sturdy and able to withstand the everyday use. One of the possible problems might be their weight, though you seem to get used to it after a while. Here are top models of Bluetooth active noise canceling headphones. Overall you can see the high attention to detail and aesthetics that Yamaha has put in creating this pair of cans, and we surely appreciative it. If you’re looking for stylish, big and loud, over the ear headphones that play rich and balanced bass, Yamaha PRO 500 are your best choice. 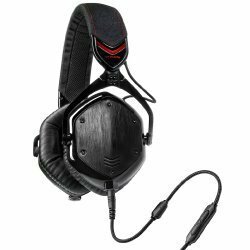 The V-Moda brand is one of the most popular headphones brands in the world. These over-ear, closed back headphones easily compete with other bass headphones and excel at overpowering bass. If overpowering, punchy bass is what you seek, these are great for you. When it comes to clarity of mids and highs these can’t compare to JVC HA SZ2000 or Yamaha PRO 500, but what these do have is loud, punchy, overpowering bass that makes every song sound different than before. Overall the sound is still great and can easily compare to other audiophile headphones in the same price range. Using an amplifier is very easy and you’ll get a high enough volume out of them on a regular smartphone as well. The only drawback is their comfort for people with bigger ears. Smaller, shallow pads can be an issue and in some instances people report excessive sweating around the ears. This doesn’t mean they are uncomfortable, you can still easily listen to them for hours, as long as you don’t have a big head or big ears. Another great thing about Crossfade M-100 is their noise isolation. With very good passive isolation, people around you won’t be able to hear what you’re listening to or if you’re listening to anything at all. You on the other hand, will still be able to hear some environment sound (but not too much) at lower volumes, just to make sure you know what’s going on around you. This is always useful when traveling. The design of these is very prominent and easily distinguishable for those who know something about headphones. Specific V-Moda design will steal attention in public which is never a bad thing. The build quality is great. Made out of quality materials that give you the confidence to take these headphones with you, anywhere you go, without any fear of breaking them. You can feel the sturdiness and quality of materials by touching them. For a portable, durable and stylish option that sounds great and excels at overpowering bass, V-Moda Crossfade M-100 are your top choice. Considered as the best overall portable headphones for many people, Sennheiser Momentum 2.0 headphones are definitely among the best you can get in the price range. These are over the ear design with closed back for extra comfort and sound isolation. While this new model is slightly more expensive you still get a lot of value out of high-grade audiophile headphones that won’t leave you disappointed. The sound is crisp and clear with strong bass to make every genre of music sound good. These are not suitable for people looking for flat response, but for those who like a more dynamic balance of highs, mids and lows. You’ll get them quite loud on your smartphone or regular MP3 player so there is no need for an amplifier, though you can still use it. The real advantage of Momentums is their clear, balanced sound no matter what genre of music you’re playing. This makes them very good for portable headphones for everyday use and even for working out. The bass response is accurate and detailed which will make audiophiles happy, as long as you’re not expecting these to be “bass canons” you will be very happy with the sound signature. Overall comfort is very high. They made them bigger to fit bigger heads as the old 1.0 model used to be a bit small. They are quite light. This makes them very comfortable and you can wear them for hours without any pain or fatigue. Ear pads are made out of memory foam covered by leather which gives them a premium look. The metal headband loosens over time to fit you perfectly, if you feel like they are a bit tight at first. The sound isolation is quote good as the leather pads protect you from noise interference, perfect for commuting. Durability wise, you can put them through a lot of physical stress without fear of breaking them. Quality metal ear cups and headband will last you years if you take decent care of them. Timeless design that fits any outfit and occasion makes them very versatile in their use. Detachable cables and foldable structure help with that. The mic and in-line remote are compatible with modern smartphones, there are 2 models, one for Android and the other for iOS (iPhone), so make sure to pick the right one. In the package you get a nice carrying bag, airplane adapter. If you like dynamic sound with strong bass without overpowering other ranges in a durable, comfortable and portable design, get Sennheiser Momentum 2.0. Here is another great product from Sennheiser. These light-weight bass-rich over ear headphones are hard to beat. For the price that you are paying you’re getting great bass response, even though it can’t really compare to the models above. The HD201 is after all a budget model. They are not better than professional “several hundred dollars headphones” these are better than any other generic over-ear headphones you can buy in a regular store. For a very low price which is ranging around $20 they are a steal. The HD201 model features stereo crisp bass acoustics to give you an above average music experience. If you’re looking to get this model you are probably not an audiophile willing to spend hundreds on a pair of headphones, but instead want something affordable that is still good. Sound quality is very good for such cheap headphones, the level of detail and soundstage are nothing spectacular, but considering the price you will have a hard time finding better sounding headphones in this price range. The bass is punchy and give the music a good rhythm, but doesn’t overpower other ranges too much. This brilliant set of headphones prides itself on providing great noise isolation and outstanding comfort at a low price. The ear pads are slightly smaller, but very soft. If you have a bigger head you might want to try them first or consider some bigger model, but for most people these should be comfortable. They are very light because of their plastic design, this also helps with comfort. Generally, they feel quite “plasticy” but this is to be expected from such a cheap model. As long as you don’t abuse them too hard, they should last long enough, in any case you get 2 years warranty if the suddenly die out. 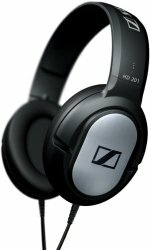 For the best value for money, standard over ear design headphones with strong bass, pick Sennheiser HD201. Much improved over Beats Solo 1.0 model, the 2.0 is a great pick for any bass lover. The sound quality is standard Beats, punchy bass that will satisfy even the most demanding user. The level of detail in highs and middle ranges has improved from the 1.0 version, while lows (bass) still reign supreme. Make your favorite music come alive with deep, punchy bass anywhere you go, Beats Solo 2.0 are the best at that. … and don’t be mistaken, the plastic is high-end so durability is good. Beats Solo 2.0 have the same comfort fit that enables you to listen to music for long hours without any discomfort. The on-ear ear pads are big and soft enough to accommodate most head sizes and wearing them for hours is not a problem. Since these are Beats you get a wide range of colors and a fashionable and cool design that will look good anywhere you go. Foldable structure makes it very convenient to carry them around. They come with a carrying case and the wires feature an in-line remote to control music with, it’s just what you need on the go. While the previous versions had quite a few problems, these ones are an improvement in all areas which makes them a lot more popular with customers as well. Better build quality without any visible screws, soft padding and the much improved sound output are easy to recognize when compared to old version. These are getting good review scores and positive feedback so you can be sure this many people can’t be wrong. 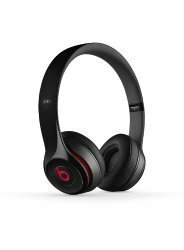 If you’re looking for portable, on-ear, stylish headphones with punchy bass, you can’t go wrong with Beats Solo 2.0. For the cheapskate bassheads only! These cheap on-ear headphones offer great bass output that you would expect from other more expensive headphones. While they are quite small in size they don’t disappoint in their performance. The sound quality will surprise you. … and the best part is the bass. Because of the airflow bass really comes alive and makes music a lot more dynamic and lively. This is many people use them for sports. You can’t ask for better sound, these are superb. The fit is quite tight and may be uncomfortable for people with big heads, but generally people report comfortable fit even when doing sports. The ear hook design works well keeping the headphones on is very easy, you just need to get used to the feeling of wearing them. The drivers almost touch your ears because the cushions are very thin but firm, so comfort is is good and your ears will not sweat either. These headphones are air free in other words, everybody around you can hear what you are listening to. There is basically no passive noise isolation and you leak sound at higher volumes, it’s good to keep this in mind in public. The special nylon protected cord is built for durability and tangle free experience. It looks like fabric but is actually very strong and doesn’t tangle at all. They are made out of plastic as you’d expect from under $20 product, nothing special, just bare basics. If this is not your thing then you should choose some other headphones, but for this kind of money you’ll have a very hard time finding the same quality bass, especially from a reputable brand like Philips. If you’re looking for dirt cheap headphones that produce above average bass, get Philips Rich Bass Neckband.